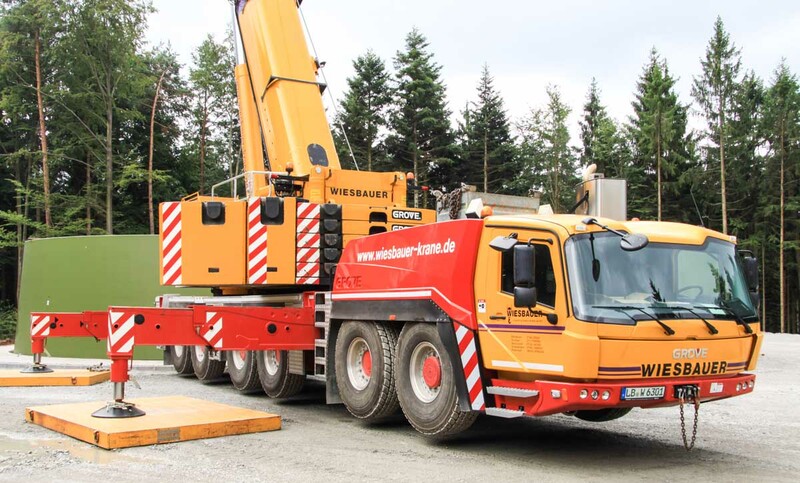 This sharp Grove GMK6300L of Wiesbauer from Bietigheim (DE) was used in a wind park under construction to preassemble the towers. 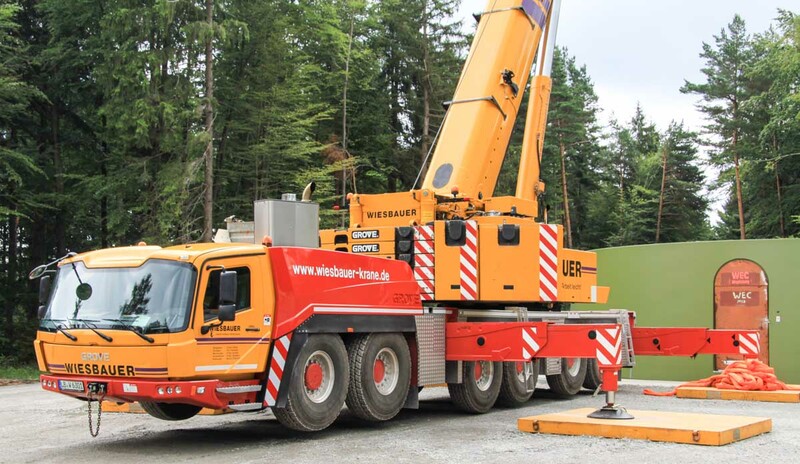 It is a 6 axle crane with a maximum lifting capacity of 300 tonnes. 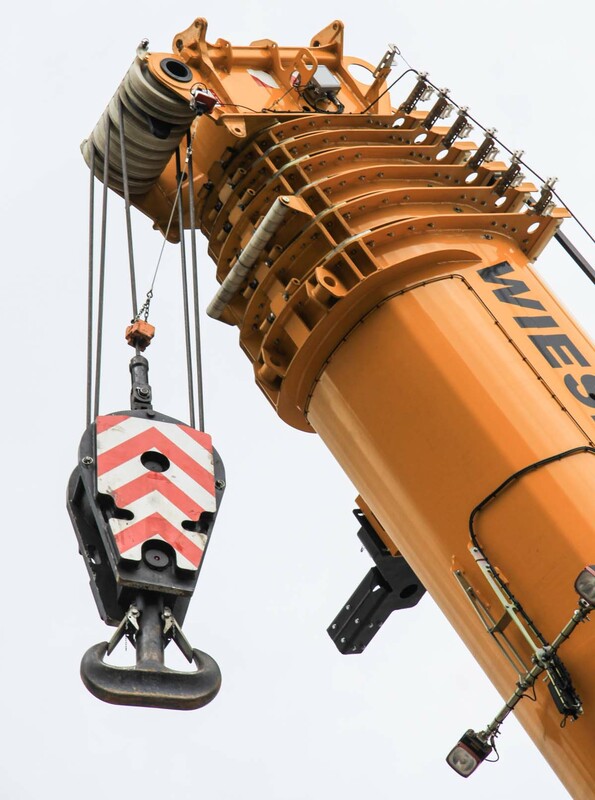 The crane's year of manufacture is 2014. 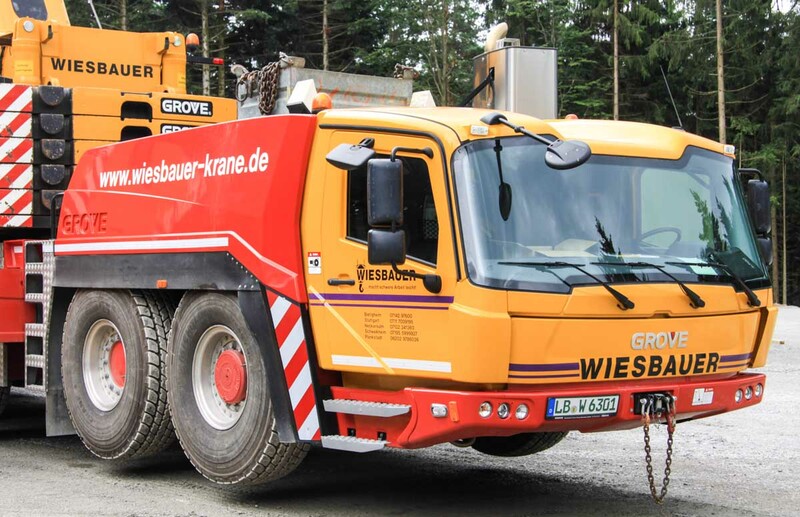 The 6-axle undercarriage has three driven axles (1, 4 and 5). 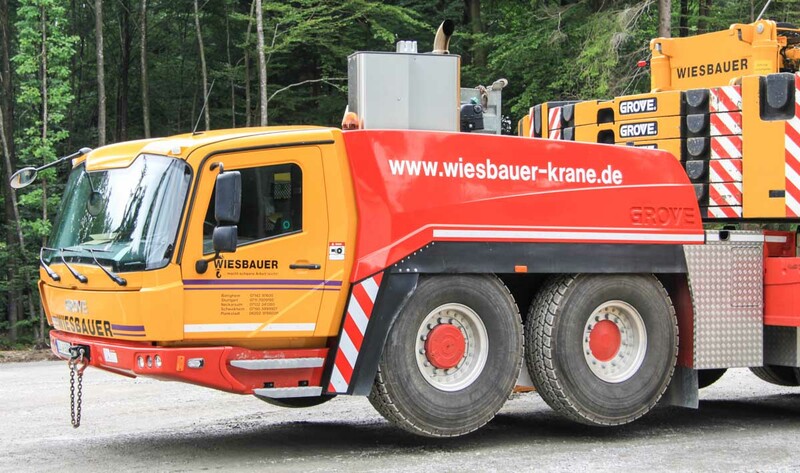 Optionally the 6th axle could be driven also, but Wiesbauer didn't choose for this option. 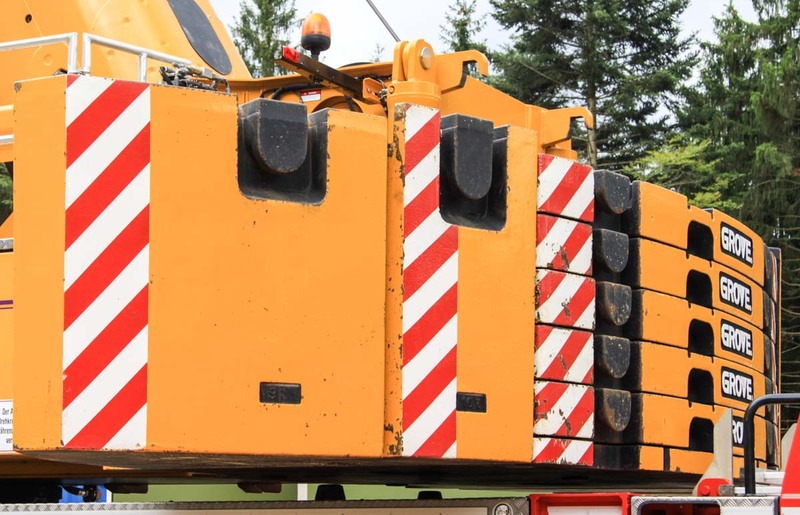 All axles are steerable, but during the transport over the road are only axles 1, 2, 5 and 6 steered. 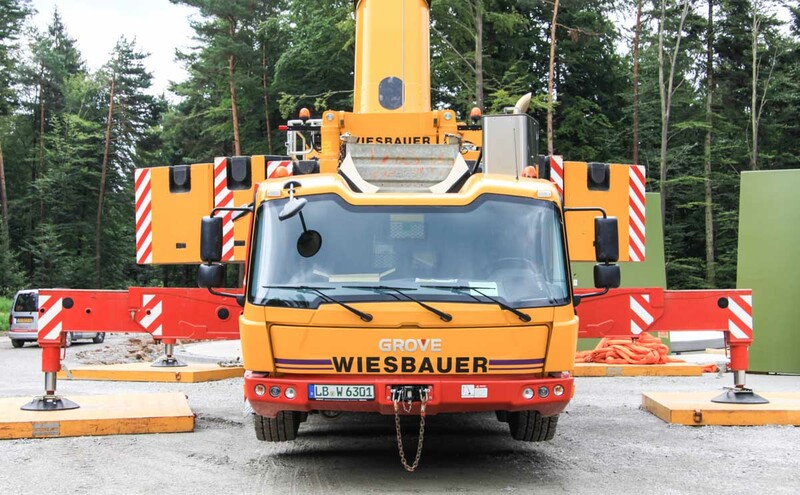 During transport over the road has this crane a 17.58 meter length, a 2.97 meter breadth and a 4 meter height. The transport mass is reduced up to 72 tonnes. 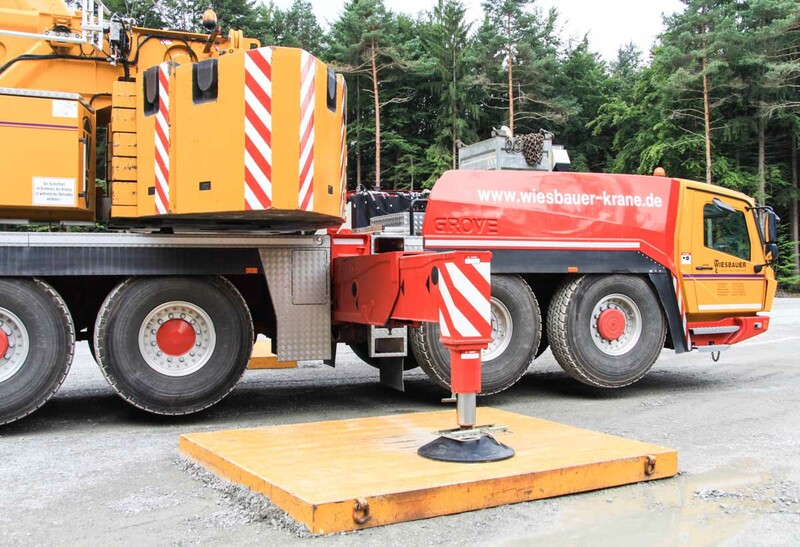 The undercarriage is powered by a Mercedes-Benz OM 502 LA, an 8-cylinder diesel engine with 551 hp. 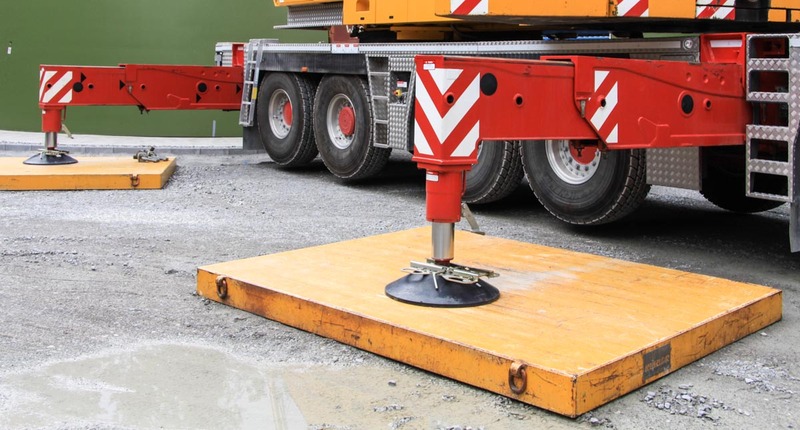 The outrigger base measures 8.7 x 8.5 meters, or half 8.7 x 6.3 meters. In the large box behind the undercarriage is the spreaderwood stored. 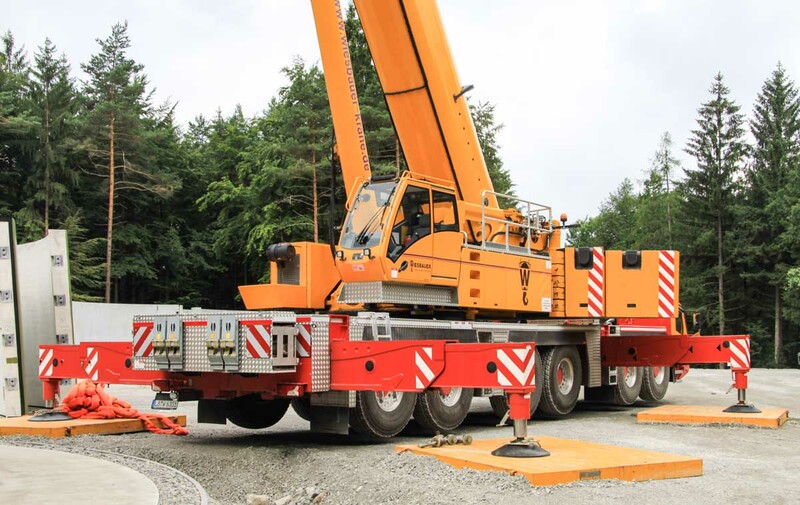 The full counterweight weights 92.5 tonnes and has a 5.5 meter tailswing. The 7-part main boom has 6 telescopic sections. The base length is 15.58 meters and the maximum length is 80 meters. 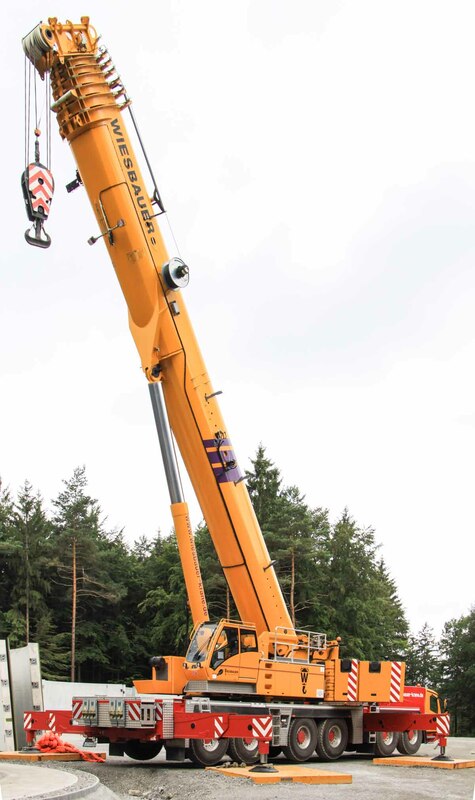 The bi-fold swingaway jib has a maximum length of 21 meters and can be taken by the crane self. With two lattice extensions with each 8 meters is the total boom length 117 meters. 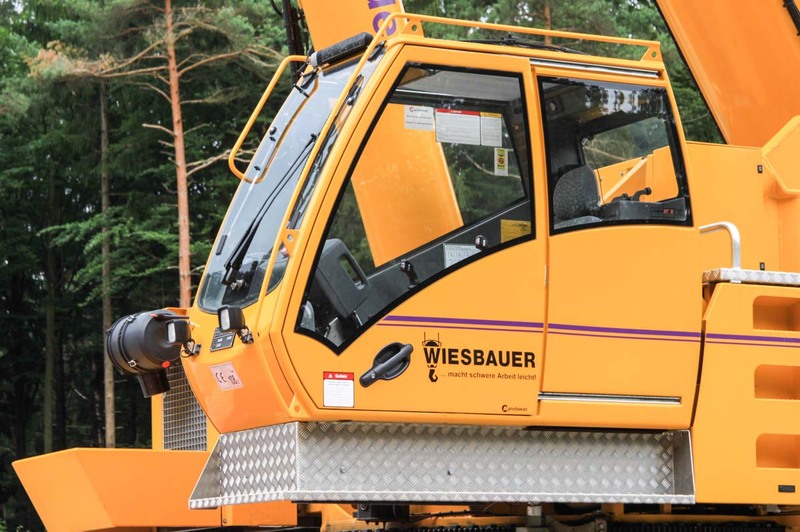 A very sharp crane in the Wiesbauer colors!